A documentary called THE ART OF VAMPIRELLA has just been released. It is full of interviews with comic artists and professionals who belonged to the Illustrated Selections Company (a subsidiary for Warren Publishing) and with it they are trying to pay a great tribute to many of the Spanish illustrators who contributed to the success of the American company. It is also a tribute to Pepe Gonzalezs one of the best Vampirella’s artists of all time. 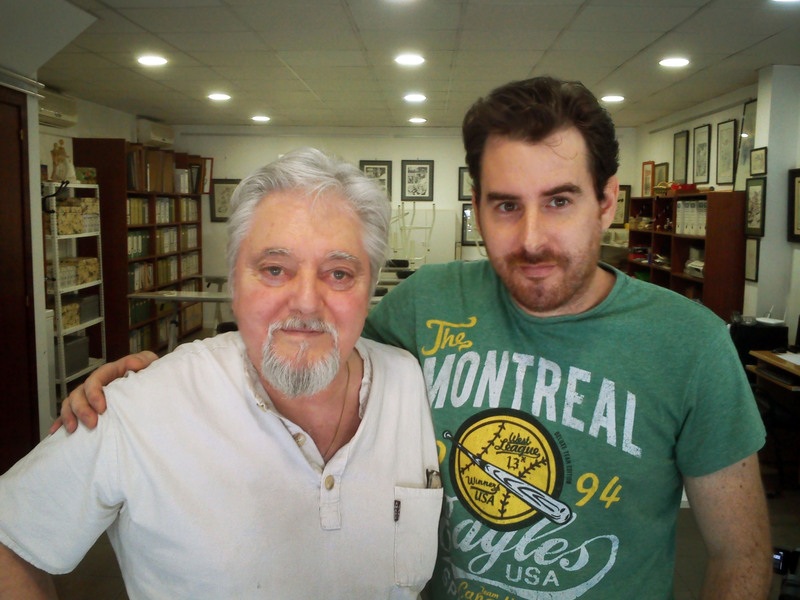 The controversial figure of Gonzalez , must be added to the enormous talent of other cartoonists as Jose Ortiz , Esteban Maroto, Josep Maria Bea, Cesar Alvarez, Luis Garcia Mozos , Fernando Fernandez and Luis Bermejo. 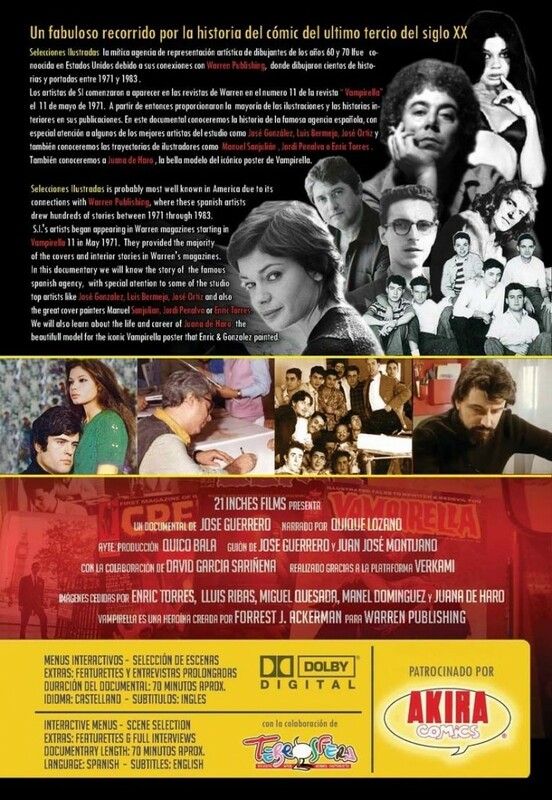 I had the chance to talk to the director of this documentary José María Guerrero García who is telling us all about it. When did the idea of this doc start? I was very surprised when I discovered that all that old covers from the 70s were painted by Spanish artists, and It was when the idea of doing a documentary came on. Who else works on it? In the documentary we have the collaboration of the talented narrator Quique Lozano, the sceenwriter Juan Jose Montijano and my friend Quico Bala, who is an expert on Comic History. Does it follow a traditional narrative? Yes, it is a traditional documentary. We combine fragments hosted by a narrator together with interview segments. Vampirella is really a character who has survived over the years and almost 50 years later is still in print. It was the excellent job of Jose “Pepe ” Gonzalez, Enric Torres and Sanjulian that gave the character of Vampirella its popularity today. Who can we find in the doc? The documentary is mainly about the work of Spanish artists behind the character of Vampirella , starting with the origins of the agency Informed Selections , an artistic agency where best cartoonists and Spanish-cover worked. The artistic careers of such important authors as Pepe Gonzalez , Enric Torres, Sanjulián , Jose Ortiz , Luis Bermejo and many others are summarized . Told through many of his fellow students and profession, such as Luis Garcia , Joan Boix, Albert Pujolar , Miguel Fuster or Rafael Lopez Espi , among many others. Is there anything surprising you discovered about the topic while making it? There are many interesting new things that have been discovered. As the fact that comic writers will be sometimes inspired by the cover while developing the script for the magazine main story. There are also many curiosities, like how the covers were hardly censored and it is also sad to know that some artists unfortunately ended their careers tragically , and of course, the special and controversial personality of Vampirella’s main author: Pepe Gonzalez . Where can we see the doc? Is it going to be shown at fests or cons? At this time, we are in talks to present the Documentary on some special events in 2 or 3 cities. But, I´m now very busy with some new projects and I don´t think I will be able to assist to any Spanish comic convention. Is it being released on DVD? Where can we buy it? The patrons of the film ( it was made thanks to crowdfunding ) have already seen the documentary online and they have all received their DVDs with the movie and the extras. But those who heard late about the crowdfunding campaign can still order the DVD through online platforms like EBAY or Amazon . Q&A: Shrew’s Nest (Musarañas) directors! Previous story NASCHY’S CRIMSON ON BLU-RAY!